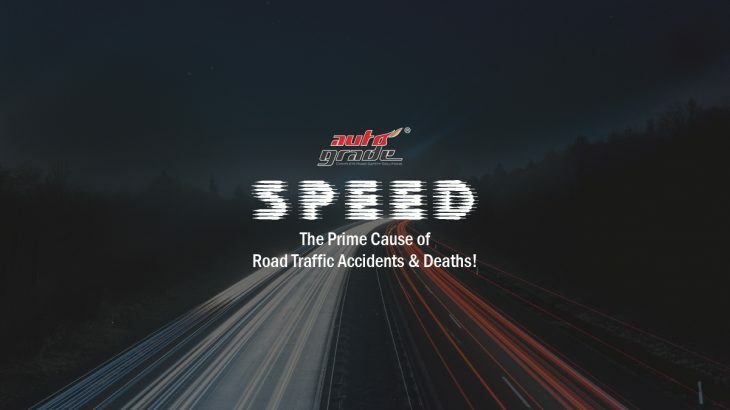 If we dig out the facts and causes behind road traffic accidents happening around the world, it would be no surprise to find ‘SPEED’ as the common and prime culprit. Over the years, many researchers have studied and established the relationship between speed and the increase in the number of road traffic accidents and deaths. There are 2 types of unwanted speeds- Excess Speed and Inappropriate Speed. Excess speed refers to exceeding the speed limit, while inappropriate speed refers to using wrong speed at wrong times and at wrong places. According to the Power Model designed by Rune Elvik, from the Institute of Transport Economics (Norway), an increase in average traffic speeds of just 4.82km/h can result in more than 100 cases of fatal injuries and over 25 extra deaths annually on motorways. The World Health Organisation (WHO) sees increasing road traffic accidents as a global crisis and estimates that a speedy vehicle, running at 80km/h, holds almost 60% chance of killing an adult pedestrian. Another study reveals that there’s a 3% higher risk of a crash with an increase in average speed of 1km/h. Moreover, there could be a 4% to 5% increase in the number of fatalities. The speed of the vehicle also determines the severity of the accident and injury when a crash happens. A car running at a speed of 50km/h needs 13 metres to stop, whereas a car running at 40km/h can be halted in less than 8.5 metres. Driver-related factors- Gender and age of the driver, number of people in the vehicle, and alcohol level. Road and vehicle-related factors- Vehicle power, road layout, road surface, and maximum speed. Weather conditions and traffic-related factors- Rainfall, snowfall, storm, road-blocks due to traffic or construction. Above all, the driver’s personal purpose may highly influence his vehicle’s speed. For eg: A person who has started his journey late may drive at a high speed to reach his destination on time. Whatsoever may be the reason, it is hard to deny the fact that SPEED can be a KILLER. This is why, governments and organisations across the world are implementing laws and ways to control vehicle speed; such as making usage of speed governors mandatory. A decrease of 1km/h in speed is said to bring down the number of road crashes by 2% to 3%. According to WHO, the likelihood of a pedestrian dying due to road traffic accident is less than 20% if hit by a car running at 50km/h. Also, it is recommended that residential and school areas have a speed limit of 30km/h as reducing the vehicle speed not only reduces the risk of road traffic accidents and deaths, but also provides health benefits such as low pollution, low respiratory problems, etc.